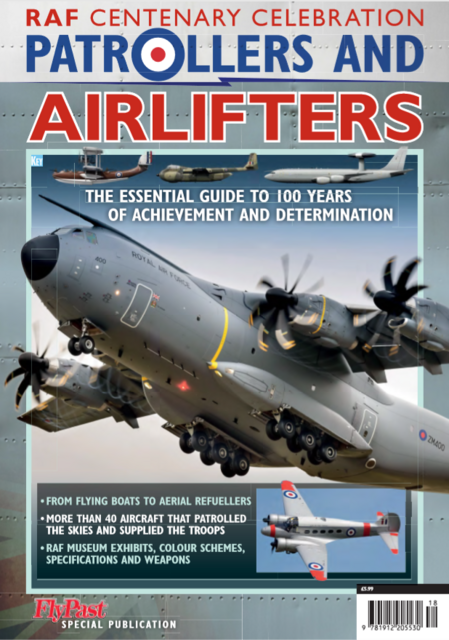 'RAF Centenary Celebration - Patrollers and Airlifters' - OUT NOW! The third and final instalment in FlyPast’s RAF Centenary Celebration series, following Fighters and Bombers, Patrollers and Airlifters, focuses on the more unsung heroes involved in the nonetheless vital roles of transport and maritime overwatch. While fighters and bombers have taken the fight to the enemy, airlifters and patrollers have respectively maintained supply lines and guarded Britain’s coastline. This 100-page special explores the wide range of aircraft employed in both tasks over the RAF’s lifespan, from 1917 to the present day. More than 40 types are described, via informative text that covers development, weapons, bases and specifications. Quality artwork also shows the varying colour schemes. 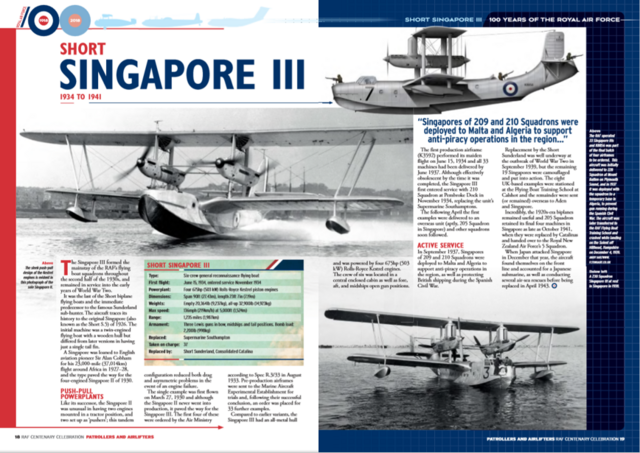 The six-crew machine formed the mainstay of the RAF’s flying boat squadrons throughout the second half of the 1930s, and remained in service in the early years of World War Two. A legend in every sense, the C-47/Dakota was in the thick of the action from its entry into service in World War Two, and was instrumental not just in transporting paratroopers for D-Day, but also for carrying vital supplies to equip the spearhead into Germany. Known as ‘The Mighty Hunter’, the Nimrod became as adept at search and rescue as it did hunting Soviet submarines. The type patrolled Britain’s coastlines For more than 40 years, but was also converted into a useful electronic intelligence tool.